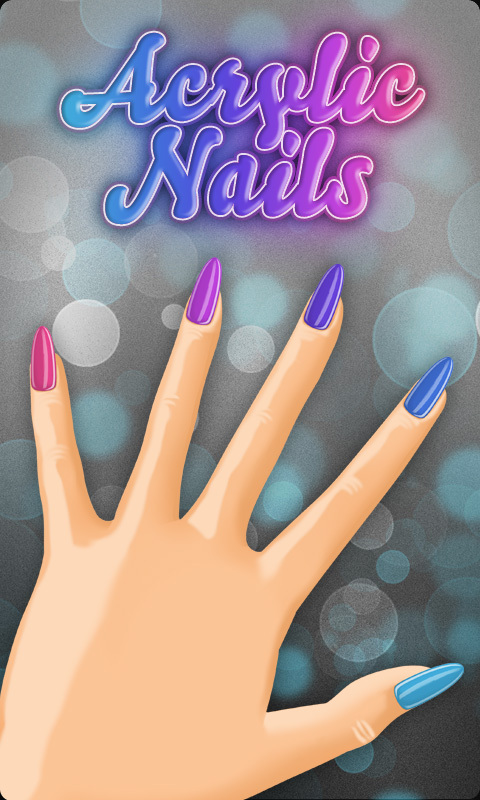 Have fun creating beautiful acrylic nail designs with “Acrylic Nails” app! Watch video tutorials on creating all sorts of gorgeous nail arts and learn how to make them yourself! Do It Yourself Acrylic Nails- Tutorials for Beginners! Colorful acrylic nails- Floral designs, fruit nail designs and 3D nail designs! Summer acrylic nail designs- strawberry, watermelon, hibiscus, sunflower and other colorful nail designs! Cute acrylic designs: Hello Kitty, cupcakes and cookies, Toy Story and much more adorable nail designs! Acrylic nails first became popular back in the 1980′s. Originally, acrylic nails were made from dental acrylic. They were thick, yellowed easily, and were extremely bad for your nails. Today’s acrylics are designed for nail services. They are thinner, more flexible, and designed for everyday wear.